Today. A world premier. 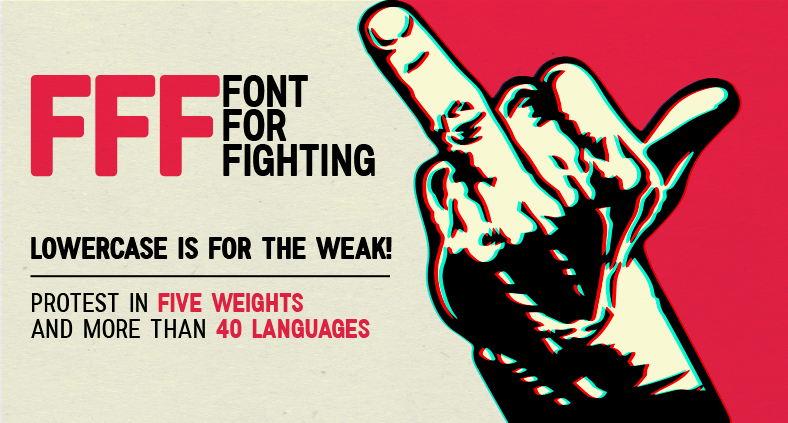 A type face created with the sole purpose of helping people to fight. because we all know that a “NO” written in Comic Sans is like saying that you are lactose intolerant while stuffing a french cheese in your face. Say NO in a new and different way. Say STOP to the wrong use of fonts. Fight for everything you want with the proper font. Fight for the all the reasons you have, wrong or right. And because we believe that everybody has the right to fight, we left it for FREE*. We don’t fight, we change.